The precise evaluation of the importance of an event can only rarely be achieved by the employing of just one criterion. Much more than this is normally required. In fact, it behooves one to consider all of the criteria applicable to the case, in order to be able to arrange them immediately according to a complex and subtle hierarchy of values. Only after having processed the task in this way is it possible to arrive at a satis­factory evaluation. Among these criteria is one which must always be present. And not infrequently, it is decisive. That criterion is as follows: If an event produces important consequences, it will be diffi­cult to deny importance to it; on the contrary, if it does not produce them, it will be difficult — if not impossible — to con­sider that it amounts to something. From this perspective, one sees that an impressive number of events published in the newspapers in the last few months are “sui generis.” Upon reading them, one has the impression of a world in effervescence or, rather, of a world in explosion. In reality, however, when one investigates what consequences there are from this mountain of so many explosions in prog­ress, one is left disconcerted, for those consequences do not appear to exist. Some examples leap before our eyes. The fall of the Portuguese Empire in Africa was certainly a tragic event and one which produced great consequences, bringing the en­slavement to Communism not only of the former colonies but also of the Metropolis. Immediately thereafter, slaughters and even a revolution burst forth in the ex-Lusitanian overseas provinces. A great deal of traveling was done, many negotia­tions transpired, and much was written in order to remedy this evil. What resulted from all of this? Practically nothing. Nothing except that the contagion of subversion began to spread through Rhodesia and South Africa. And then new journeys, new negotiations, and a flurry of news reports. Never­theless, what came from all of this? The traveling continues, the negotiations are extended, and the news report proliferate. How long will they last? What results will they bring? One does not know. At the moment of this writing, things appear to be heating up between Rhodesia and Mozambique. Will anything come of this? Anything other than a battle without direction and with­out end like the sad war in the Middle East? This leads us to change the field of our considerations. In Lebanon, human blood flows in a tragic stream. But this does not prevent one from feeling that the constant stabbing is coming closer to the heart. What can result from all the pande­monium in that region? For the moment, one does not know. It can suddenly result in nothing. It can turn out to be a “status quo antebellum.” Just as it can, at any moment, set the globe on fire. Now we will cast our gaze upon another area of the Asia­tic continent. The fall of Vietnam and Cambodia was tragic. Once it was consummated, the news about those regions, which had previously been so voluminous, unexpectedly began to go silent. In respect to the circumstances of the two enslaved nations, all that was released for a few months was a tiny con­cert of contradictions. It was said that in Cambodia the Com­munists had been ferocious and that in Vietnam they had been enchanting. Afterwards, reports came in to show that in Viet­nam also they had been terrible … as everywhere. Some dis­patches soon alluded to guerrillas of non-conformists in Viet­nam. Finally, everything went silent, everything resulted in nothing. In a nothing which can result in everything. And here is one of the most disconcerting aspects of this situation. 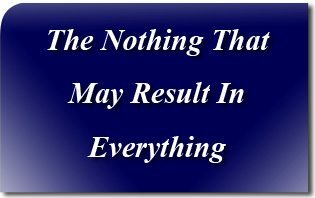 It is that anyone of these “nothings” can at any moment result in everything. It can perhaps give rise to a world war. It is not impossible, for example, that in Cambodia and Vietnam at a given moment a popular discontent could be unleashed like the one that found expression in Hungary in 1956 or in Czechoslovakia in 1968. And from this, possibly, a universal discontent could arise, which could end by leading to war. “A fortiori,” one can say the same about the events tak­ing place in Rhodesia, South Africa, and the Near East. Results such as these, which are on all quarters of the horizon, are nothing at present, a nothing which can result in everything at any moment. And this is the promise — or threat — of the outcome of the Ford-Carter electoral race in the United States. It can be that Carter will not take into account the serious pronouncements against “detente” made during the electoral campaign. It can also be that he may prefer to interpret his victory as a verdict in favor of the ultra-concilia­tory tendencies attributed to him. At present, however, the American elections, which were so agitated and noisy, appear to have resulted in nothing decisive in the United States and the world. Yet out of this nothing may come everything. Be­cause if the United States continues to retreat in the face of Russia, into what abysses will the West not be able to roll? And if Americans become a little less blind and soft, how far can the Soviet reaction go? It appears that this universal “nothing” out of which “everything” can come, is a way of being, thinking, and acting which has become generalized in the modern world. If we should consult the great book of history, we would see that it is characteristic of civilizations which imprudently move along the edge of dangers and abysses, to allow them­selves to be attracted by them and in most cases to hurl them­selves into them. “He who loves danger, will perish in it,” says the Sacred Scripture. These considerations, however, would take us very far indeed. Let us stop here for today. The preceding article was originally published in the Folha de S.Paulo, on November 5, 1976. 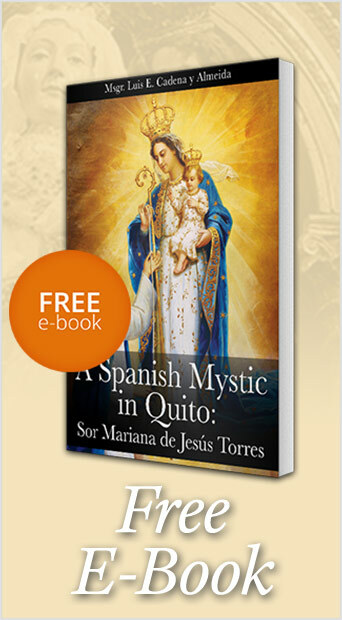 It has been translated and adapted for publication without the author’s revision. –Ed. This entry was posted in Plinio Corrêa de Oliveira and tagged criteria, evaluation, history, PRECISE, Prof Plinio, Rhodesia, South Africa, the nothing that may result in everything, Vietnam by Plinio Corrêa de Oliveira. Bookmark the permalink.